These scientists [who are being honored] worked, at the time, in Arlington, for ARPA — the Advanced Research Projects Agency. ARPA later became DARPA, the Defense Advanced Research Projects Agency. Their work has had a profound effect on how we work and how we conduct our private lives. 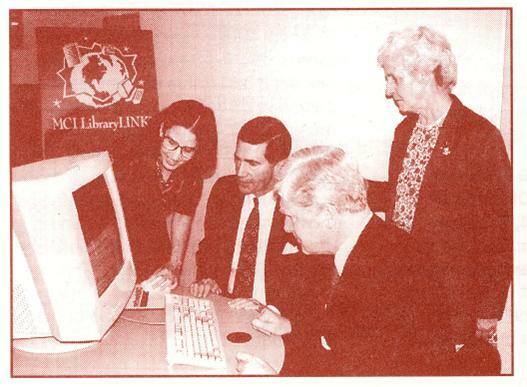 Arlington was one of eight libraries chosen to receive grants from MCI in the first year of their LibraryLINK community initiative to bring the information superhighway to “Main Street, USA.” Grant money was used to install two public and one reference Internet workstation at Central Library for one year.